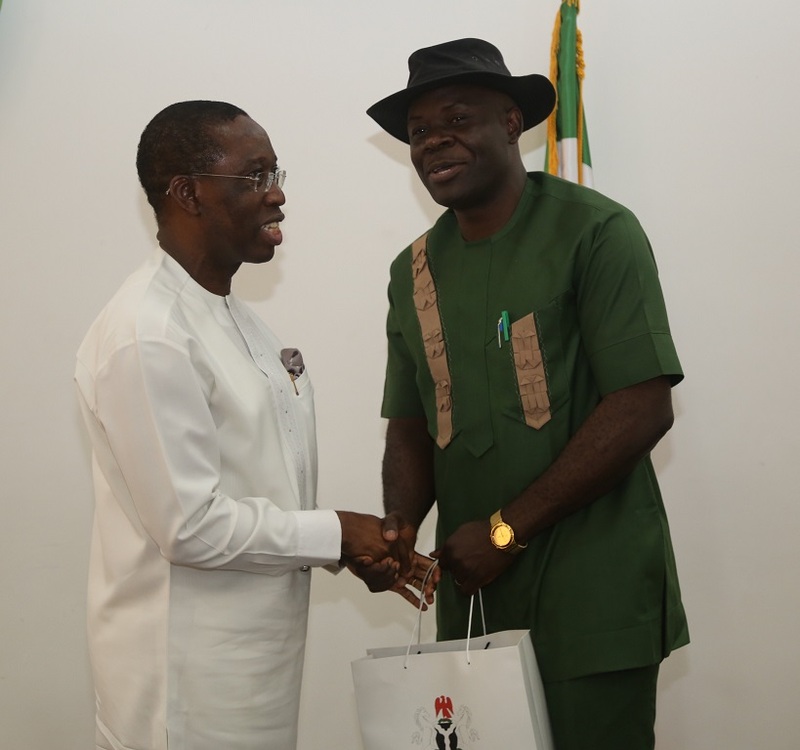 Delta State Governor, Senator Dr.Ifeanyi Okowa has called for adequate funding of infrastructural development in the country so as to stimulate economic growth. Speaking on 31-08-16, in Asaba, when he received the President-General, Comrade Amechi Asugwuni and the National Executive Council of National Union of Civil Engineering, Construction, Furniture, and Wood Workers on a courtesy Visit, Senator Okowa said that efforts should be geared to free up more fund for infrastructural development as that would ensure economic growth, create jobs and improve investors’ confidence. “I want to commend you for the theme of this meeting-“Infrastructure and Policy Improvement: The Panacea For Economic Growth”- it is critical that we realise that infrastructural development provides an enabling environment for investment to thrive, it also create jobs for our people, everything should be done to free funds for infrastructural development as it will stimulate the nation’s economy”, Governor Okowa said. “We have to reduce recurrent expenditure and concentrate on capital expenditure, when we spend over 80 percent of our revenue on recurrent expenditure, it portends a great danger to the construction industries and capital projects “. Okowa stressed. He commended the Labour leaders in the state for the cooperation and support in the handling of labour issues in the state explaining that through their support the state have been able to maintain the payment of workers’ emolument despite the dwindling receipts from the federal government. He assured the Union of the state government’s readiness to partner with them in the development of a housing estate for workers stressing that enabling environment would be provided for the development of the project. Earlier, Comrade Asugwuni has informed Governor Okowa that they were in Asaba to hold the union’s national Executive Council meeting which has the theme “Infrastructure and Policy Improvement: The Panacea For Economic Growth”. He commended the governor for his labour friendly posture and for making the payment of workers’ emolument a priority in this challenging times.